Hydraulic relief valves protect hydraulic systems from being exposed to high pressures that exceed the mechanism’s specified limits. A relief valve is placed at the entrance to a separate tube and is set to only open when a certain amount of pressure is applied, which can only be applied if there is too much liquid or gas in the chamber or pipe. An auxiliary passage, which is where the relief valve sends the extra liquid or gas to relive the pressure in a mechanism, is usually just an extra pipe that leads to a chamber where most likely the fluid is burned and the gas left over is released into the atmosphere. This is a particular necessity in the chemical and petrochemical manufacturing industry, as well as in petroleum refining plants, natural gas processing and power generation industries. If the pressure in a hydraulic pump exceeds its designed pressure limit, internal leakage or damage to the pump components can occur. Depending on what the liquid is, such leaks could also cause serious damage to individuals in the vicinity and the environment. In hydraulic control systems, the relief valve acts as a check valve, with a ball and an adjustable spring. When a relief valve opens to divert fluid into an auxiliary passage, the pressure inside the hydraulic cylinder drops and allows the valve to close. A hydraulic system will often employ several types of valves, although the hydraulic relief valve is usually the first encountered in the circuit. Hydraulic relief valves can be found in almost any mechanism that runs on hydraulic power, such as automobile transmissions, brakes, power steering, aviation and in industrial and construction machinery. 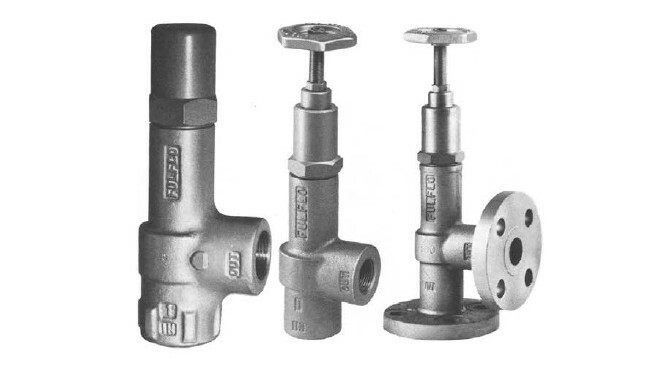 Relief valves are built from the same basic materials that most hydraulic valves are made from. The strong and corrosion resistant metals that are most common are stainless steel, aluminum, iron, brass and copper. Aluminum and stainless steel are thin, light weight and flexible, while still retaining the strength necessary to control the flow of liquid. Usually when a heavy metal like iron is used for the body of a valve, one of those two lighter metals is still used for the disc or plunger. Plastic is also used, particularly thermoplastics that are developed specifically to be used as valve material. Although they are not as resistant to corrosion as metal, they are cheaper. It’s all about options. Hydraulic Relief Valve Hydraulic relief valves are used to limit the pressure in a hydraulic system. They achieve this result by allowing the pressurized hydraulic fluid to flow out of the system into an auxiliary passage.